Roger Wagner, who grew up in Osakis, Minn., owes his leg, and maybe his life, to a M*A*S*H* surgeon who treated him during the Vietnam War. But Wagner, who would return to the states after duty to play varsity tennis at Minnesota State University-Moorhead, hadn't seen him since -- until Ann Curry came calling. 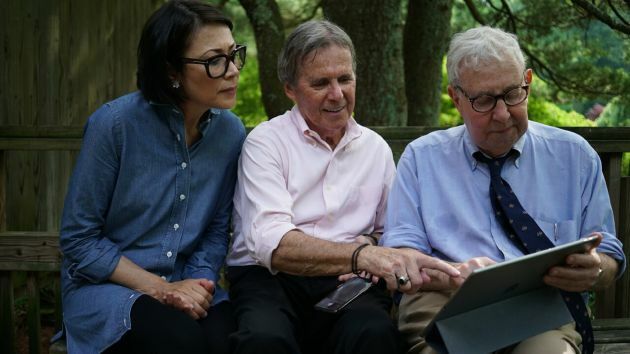 The former "Today" co-host returns Tuesday for the second season of "We'll Meet Again," a heart-warming series in which people with life-changing connections re-unite after decades apart. In the premiere episode, "Saved in Vietnam," Wagner tracks down retired surgeon Mayer Katz in Maryland for a touching reunion. Wagner currently lives in Nevada, but he still claims to be a die-hard Minnesota Vikings fan. The episode airs at 7 p.m. Tuesday on TPT, Ch. 2.